Summer is not yet over so here is a dress that's perfect for a sunny day! Haven't you noticed that I love wearing dresses? Aside from being perfect for the Philippine weather, I also love how having a lot of dresses saves me time in the morning. I could just pull out a random dress and pair it with nice shoes and bag. That's saving half the time instead of thinking of what to pair with pants or skirt, right? I love this dress that I got from an online shop called StylishPlus.com. 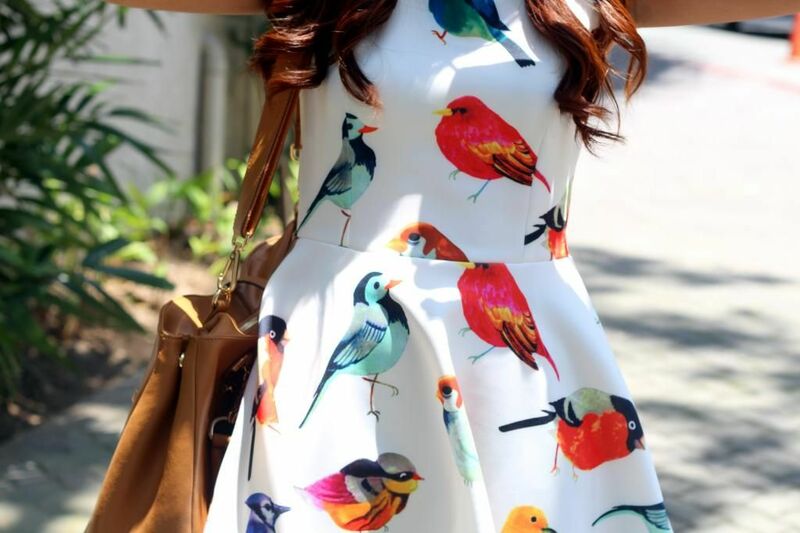 I'm not good with birds (lol) so I had to Google the birds on my dress. I came up Chickadee so I just used it as the blog title. Did you know that coming up with the title is actually more difficult than writing the blog post? Did you also notice how this outfit looks the same as this one I wore weeks ago?